This is the Ultimate British Sale Fare Archive – every ex-UK BA longhaul ‘Sale’ since December 2010 that Continental Club has covered is listed here, with a link to the article published when the relevant fares were first loaded. The archive is updated upon publication of a new longhaul sale. Although there are no guarantees as to when the next sale will take place, readers are welcome to identify any patterns! For those less familiar with the BA promotional calendar, it’s particularly worth mentioning that 2012 was an atypical year, as the airline was a major sponsor of the London 2012 Olympics and ran several specifically Olympic-related sales. More recently, the airline has released some short ‘flash’ sales for specific periods such as Black Friday and Cyber Monday. Destinations and dates are typically highly-restricted and therefore we generally don’t record these. For the earliest notice of when the next BA sale is taking place, follow us on Facebook and Twitter. And, at all times, the best current fares are most easily found by using the Low Fare Finder at ba.com. 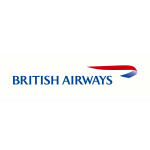 To check the best current fares at any time, visit the Low Fare Finder at ba.com.